How much are Callaway C4s selling for these days? I haven't seem the prices go crazy, but it seems that finding a good one for reasonable $ is getting harder. They certainly haven't gone down in price. What this means, is that you probably will need to pay a premium for a good one, given the limited number built and then the limited number actually for sale. There will be a difference from 1987 to 1991 in the "same quality" Callaway's with Aerobody's, with a 1991 aerobody probably demanding the highest price. Nice car. Interesting to see the Naca ducts on a car with the AeroBody. As I think they came with the twin turbos but not with the Aerobodies, which had scoops or louvers. There seem to be a few styles. But I think the Naca ducts were only on the non Aerobody early cars. For price, I would say $50k is to be honest as much as I would pay for one, regardless of how much money I had. The Speedsters are a different matter. But for the coupes I think $50K sounds on the higher end, at least for now. Because one needs to think what else is there in that $50K range and that is already territory for things such as Ferraris etc. Yeah, I had seen that. Any person is free to ask as much as he wishes for a car. But will anybody really pay that much? The ZR-1 Snake Skinner, which would be my dream C4 and is truly an one of a kind car would be a C4 I would be willing to pay through the nose if I was a millionaire. But something like a 1987 Callaway, which there are quite a few out there and looks just like any C4 I can't see selling for that much. No matter how low mileage, how well kept or if it's an one owner car. Even the AeroBody, it still looks like a C4 with a bodykit. I think only the Speedsters can command truly exotic or rare classic car prices like that. But then again there are crazy people for anything in this world. Anyway, whoever bought the Snake Skinner for $176K 10 years ago at auction got a deal. I wonder how much it would sell for now, if people think a commercially produced C4 with a turbo engine is worth so much. I would say that he is valuing his cars at 3 times current market prices. That said, those cars look really nice. The perceived value (notice I said perceived) is being a group collection. In 1987 the Aerobody was not commercially available. The ONLY way to get an aerobody onto a 1987 Callaway was to order a B2K (which came with NACA ducts) from GM, then AFTER the B2K was released (Post 1988? ), purchase the aerobody kit from Callaway and have it fitted by Callaway or a 3rd party. Thus, you should never see a 1987 Callaway aerobdy WITHOUT NACA ducts. 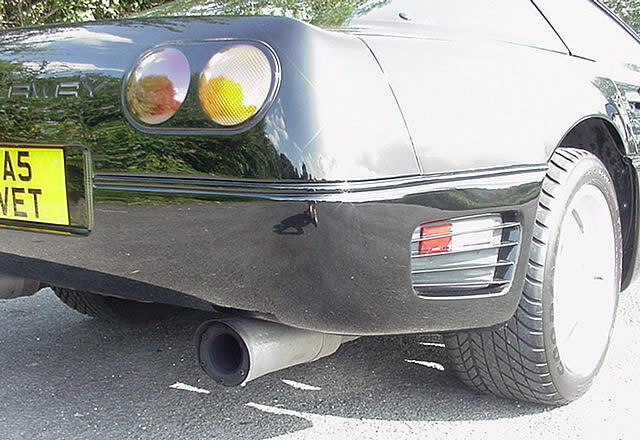 1987 was the only year the B2K's came with NACA ducts, all other years had a flat/standard hood except for the 1991 B2k, which had the "blisters". Happy to be proven wrong, but the above is what all my research tells me. Last edited by puzzigully; 11-06-2018 at 07:05 PM. The Callaway Aerobody came out on the 1988 Sledgehammer, which debuted 30 years ago in Oct (88). The first (prototype) Aerobody car was 1989-005. It was red. This was the magazine car, and nose varied from production. The first cars ordered with Aerobody were mid 1989 cars. Something in the #40s. This is based on paperwork. All but last couple 1987 cars had NACA ducts. 87-188 has a flat hood, there maybe 1 or 2 more, can’t remember. Last edited by SurfnSun; 11-06-2018 at 08:29 PM. 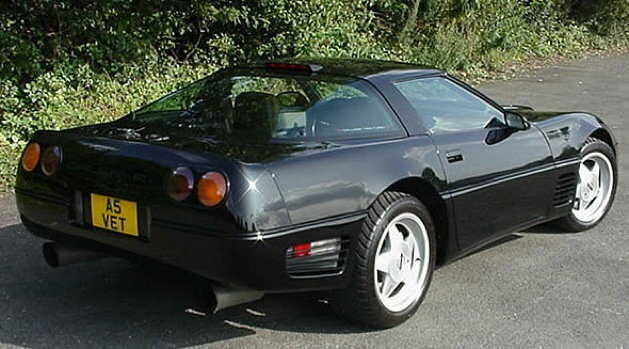 that year 188 Corvettes were built that model-year, with the Callaway Twin Turbo (B2K) option existing on 167 cars. This must mean that 87-188 was one of the very last B2K's for 1987 and hence no NACA ducts. 1988 had no NACA ducts....the late 1987 must've been in preparation for 1988? Last edited by puzzigully; 11-06-2018 at 11:07 PM. Not confusing at all. In 1987, not all the cars (of the 188 built) wore RPO B2K. Some were sent from the dealer inventories vs. RPO cars. Simple as that. All this was on the callawayownersgroup.com website before the change in summer 2018. 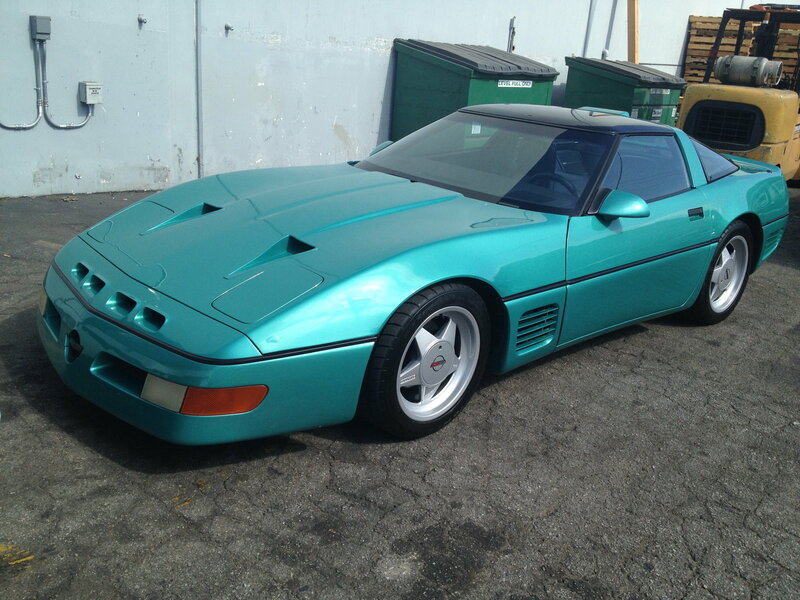 I think we can all agree there were 188 1987 Twin Turbo Callaway conversions completed. But how many were B2K? Would a 1987 converted car be worth less than a 1987 B2K , even though they would most likely be virtually the same? To me it would not make sense if the B2K would be more valuable. But then again when it comes to old or classic cars nothing makes sense. The old and classic car scene is as stupid as it comes when it comes to valuing things. It often reminds me of the people who paid double for a DVD just because it said special edition on the cover. Even though it was the very same movie inside. Last edited by Zak2018; 11-07-2018 at 03:19 AM. Funny how a site named "vettefacts" doesn't have the facts. The National Corvette Museum Records are from the plant records. 167 cars ordered with RPO B2K. The rest were sent from dealer inventory or in a rare case, direct conversion from a customer. 1988 and 1990, at least one in each year wore RPO B2K and was NOT converted, going back to the dealer as an L98 Corvette. 1989 has a car #69, but only 68 cars were built. Car #68 does not exist, and never did. The only folks that would pay any kind of money over 50K (and that is high) for a c4 callaway are either misguided, uninformed, or c4 callaway lovers with lots of cash to buy one. The aerobody makes it unique. Not all appreciate it. The C4 makes it almost undesirable by any means to joe public. Still a c4. The twin turbo old technology horseshoed in to a c4 is unappealing to people that can't pay outrageous service costs at shops. The reality is its time has come and passed. New twin screw cars are 2-3 times as much power, and twin turbos are up to 3x+ that power level if people crave it. Back then not only did it fill a void for a customer that wanted to go fast and be stockish, it was still fairly competitive with aftermarket builders stuff too.. Even early 2,000s+ LPE was putting out some power in packages in c5's+, but aftermarket had already gone insane, and internet introduced people to crazy power. 600hp has not sounded cool / impressive/ fun to me since the late 90's. 1,500 is a lot, 1,800 is a threshold now that used to be like 900+hp. Sure it is not all about the power, blah blah blah. Its old, weak, over priced, and a base early C6 might beat it on all kinds of tracks depending on drivers and tires. What person less than 25 years old will buy a callaway and why? Even to resell will be hard when the people it touched fade away. Shelby did a much better job at marketing themselves to the public. If you love a Gremlin maybe you'll pay 15k for it, but most have no interest in it even if it has the v8 from factory. I'm not saying it is wrong or stupid if someone pays big money for a callaway, but if you want to go fast be cool, or be relevant... I guess you should watch youtube and see what the kids have loans out on or their parents do at least. i wonder how much a bank would give for a loan on a callaway vs a ZR-1 or base? Last edited by pologreen1; 11-07-2018 at 01:24 PM. 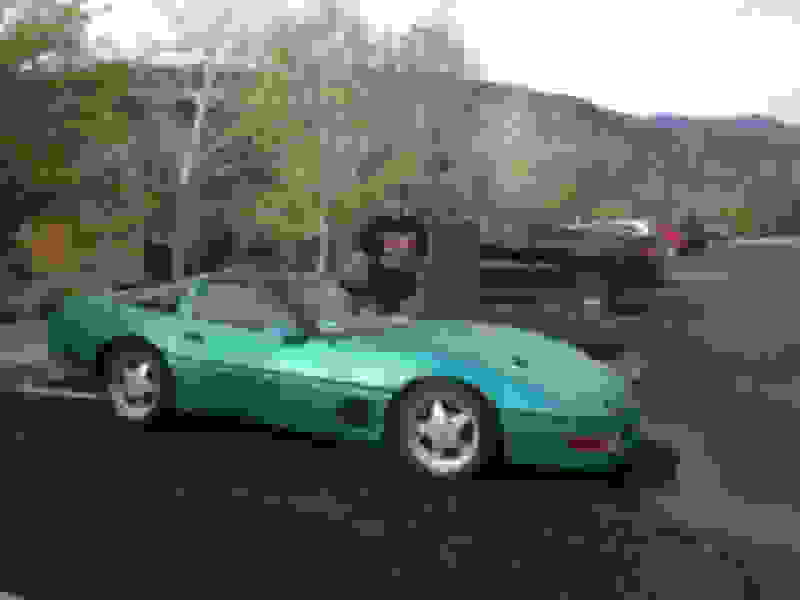 Would a 1987 converted car be worth less than a 1987 B2K , even though they would most likely be virtually the same? To me it would not make sense if the B2K would be more valuable. But then again when it comes to old or classic cars nothing makes sense. .
My initial reaction was: Of course a B2K car would be worth a premium. But on reflection, maybe not. If you had the documentation from the Dealer etc, it probably doesn't matter. I guess if you had 2 cars in EXACTLY the same condition with the same miles, then I guess you'd prefer the B2K? But as you said, when it comes to old/classic/collectible cars, nothing makes sense. By most of the rationale here, C1s and C2s are worthless also. They don't have any HP and are terrible performers, parts are crazy expensive, the quality compared to a C7 is junk. You must be misguided to own one right? However, no one would say that about a C1, C2 or possibly even a C3. Of course no one buys one of those as a performance car anymore....why do people still think that C4s are bought for performance??? They are an antiquated technology now. I bought my Callaway TT at age 26 b/c I loved the car, grew up in the 80s, and remember seeing them in the magazines. Now I have a Callaway SC606 in my driveway. I am a fan of the products just as people are fans of Corvettes, Mustangs, or Apple phones. Why does it matter? Trying to figure out why people need to justify why they like something. My 88 b2k with wonderbar and big exhaust made 440rwhp and would run a C6Z from a roll no problem. 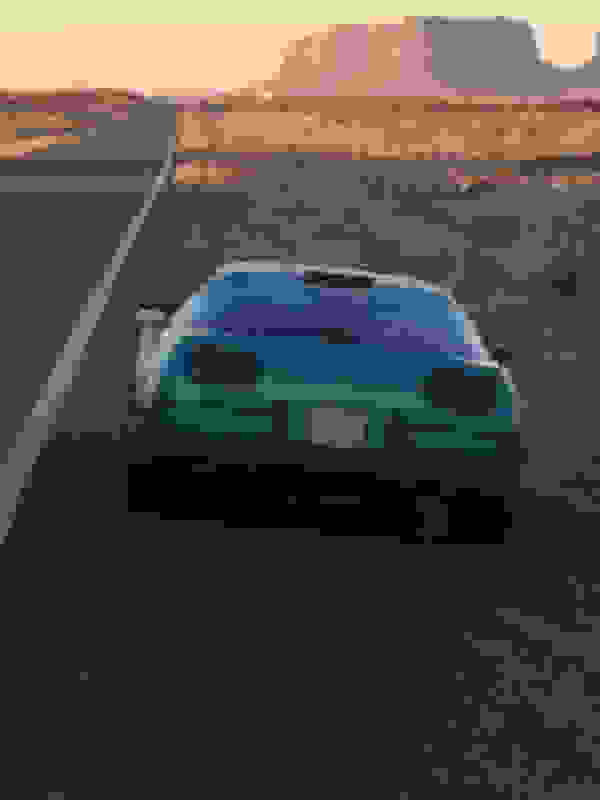 Road course, drag strip on street tires, or anything else? forget it...the car would get smoked However, the car is as fun to drive as any that I've ever been in. I've been in faster, but not necessarily more fun. I know a guy with a 700rwhp B2k, that prefers that car to his Ferraris or Ford GT. Last edited by SurfnSun; 11-08-2018 at 10:03 AM. Good points, SurfnSun. Also keep in mind, most "good cars" sell via word of mouth, offline. I get a couple calls or email a week asking for 1989-1991 AeroBody cars. If I had a dozen red ones a year, they would be gone, with a wait list. The average price of a coupe is over $40k w/ Aerobody. Convertibles are ~$5k more, and low mile examples, even higher. As you cited, a low mile 1991 AeroBody convertible went for $50k last year. Speedsters are a whole different buyer. My guess is for those who don't appreciate the value, have never driven or ridden in a B2K. It's more than just the horsepower, it's the shove of torque. The sounds. The whole experience. Interesting. What's the story with #68? Why is there a #69 and not a #68? #68 order got canceled after #69 had already been built? By the way is there an online register for the Callaways? I had a rare-ish limited production car once and there is a register that keeps track of the cars. They have info on the prototypes, which ones got destroyed, info on the production cars such as which country they are at now, those which have been crashed and sent to the junk yard or broken up for parts because of too much rust or damage etc. As I remember there were some cars unaccounted for or missing, as in the register didn't know where they were or if they were still on the road. But all together it is a very useful register with lots of info and it seems they didn't have only info on member cars. Somehow they tracked other cars too. Maybe by sighting and reporting by members or something. The beauty of the internet I guess. Is there such a site for the Callaways? I guess for the ZR-1 it's harder to keep track as they made a lot of them. But the Callaways are probably rare enough to make it easier to keep track of almost every car. For the Callaway experts out there, what's the story with this car? It looks different. It seems to be European spec and was for sale in the UK. Is this an official Callaway European version? Changed after import to meet local laws? Or perhaps made by Callaway Germany? Did they make their own cars? I have never seen another Aerobody with those tali lights and especially with that front nose. If you notice, the nose has two large vents instead of the usual 4 smaller ones, similair to the Supernaturals but bigger. And it's not a Supernatural. It also has a lower air dam in front of the bumper which no other Aerobody seems to have. What's the story on this car? Thanks. That is 89 #10...very cool one-off build. Do web searches...too much to type here. Agree with Polo, as time marches on and the interest groups die off so does interest...and probably value. WIll they always be unique you bet but who will be buying them next? same wiht C1s, musclecars, etc. Worrying about what a car may be worth is a bad reason to buy in the first place...or fret about making an upgrade. Wow. Im sure guys building those neon billetmobiles in the 80s thought they would be good investments, too. Or a Boyded out 32. Quick Reply: How much are Callaway C4s selling for these days?